Hot Sauce Roulette: A game of spicy chance! 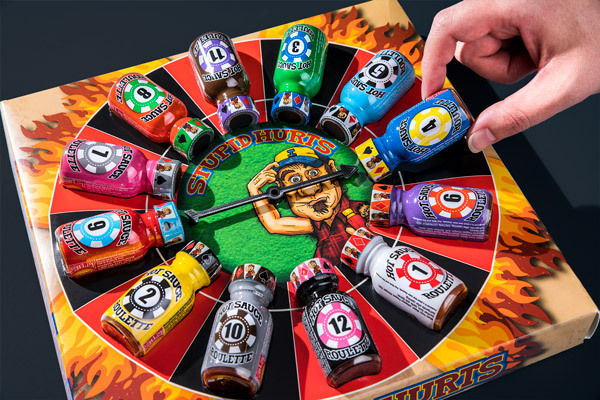 Hot Sauce Roulette is the one gambling game where you want to avoid a hot streak! 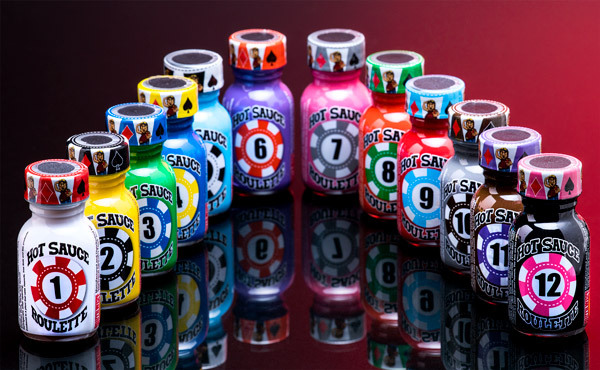 Hot Sauce Roulette is modeled after the classic casino game, but instead of risking money and mortgages, you’re gambling your taste buds! Each spin is loaded with anticipation as you wait to see which sauce you’ll be sampling. Whatever the arrow points to, you put a dab of that bottle’s sauce on a chip or cracker and take a bite. With intuitive rules and twelve levels of spice, this heat tolerance test is a fun game for you and your fellow hotheads. 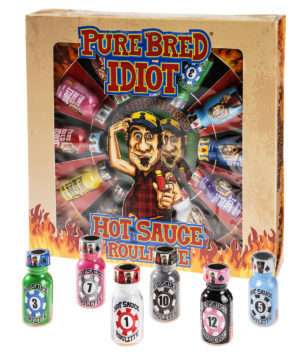 The dozen different sauces in the Hot Sauce Roulette set truly range the gamut from the mellow heat of bottle #1 to the knock-your-socks-off fire of bottle #12. Each sauce on the scale adds an extra spice element (as detailed in the cheat sheet). So while the first sauce features the jalapeño, the next sauce ups the ante with jalapeño plus habanero. The hottest sauce in the bunch is made with several of the hottest peppers in the world and even chili pepper extract, so make sure you’ve got your good luck charm—and some good luck milk just in case. When the game’s over, feel free to add your favorite sauces to your food. Just remember to save some for your next round! 12 levels of heat from hot to hellish. Question: What flavor are these sauces? Answer: The Hot Sauce Roulette sauces don’t have specific flavors beyond vinegar and pepper since they’re more about the variant spice levels. 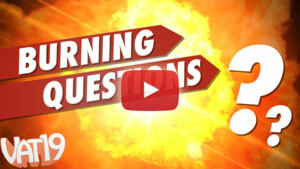 Check out the Hot Sauce Challenge if you want more taste variety… the spice of life. Question: How do I know which one is gonna be the hottest? Answer: The sauces are arranged in order of heat, with 1 being the lowest and 12 being the highest. Question: Can I buy an individual replacement bottle? Answer: We do not sell individual bottles at this time.